I didn't plan for this look to turn out so elegant, but it definitely made me feel kinda fancy when it was all done! 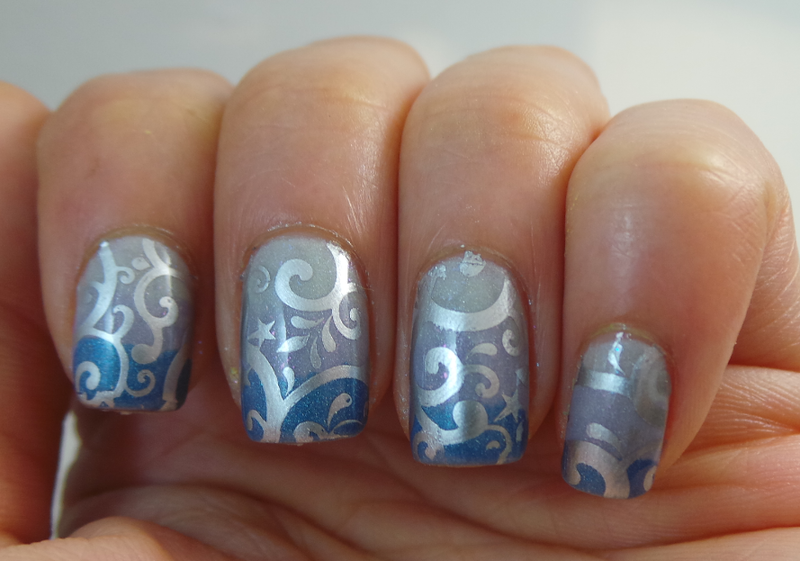 Silly me, I forgot to take a picture of the gradient before the stamping - but here are the details. I initially tried the gradient with the traditional make-up sponge method, but the sponge sucked up all the base and left me with only shimmer, so I knew it was going to take forever to get the right opacity. Instead I just painted the shades on, figuring I'd stamp over it anyway. 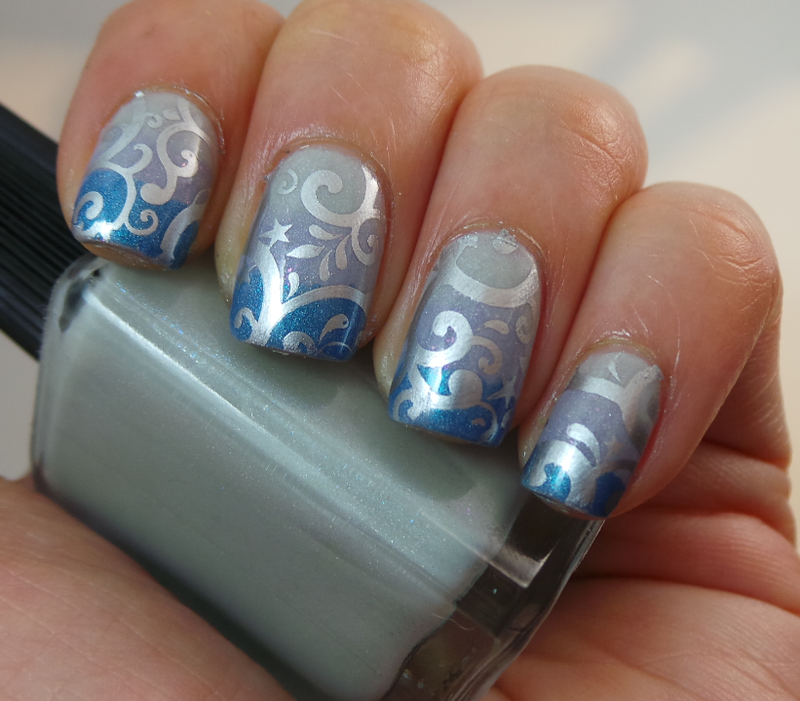 I then added the images from Pueen plate 65 and my trusty silver stamping polish NOPI Positive Energy, topped with HK Girl. CANVAS the City Collection now available! More CANVAS the City previews!